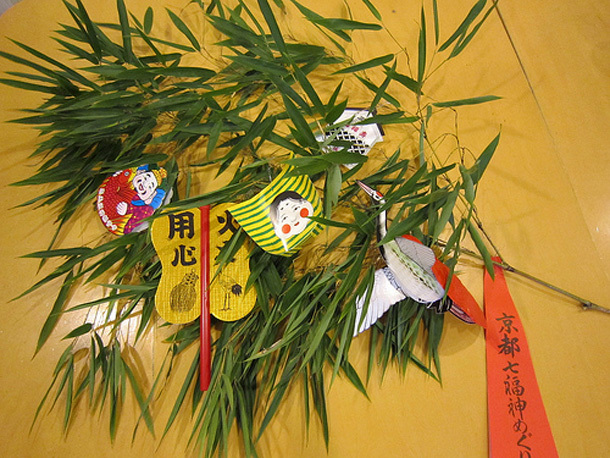 GTK suggests you to visit temples or shrines that enshrine lucky God for your happy new year. 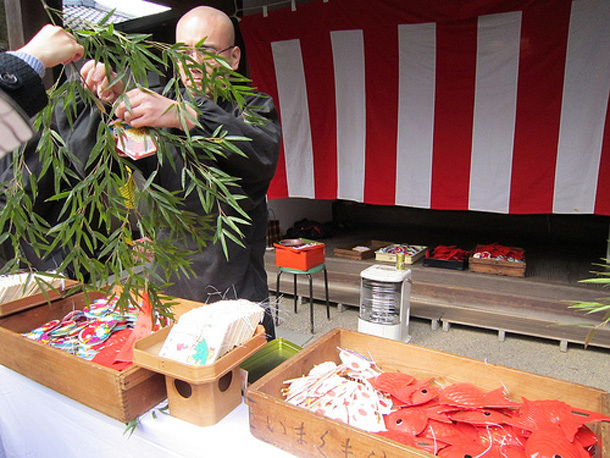 First, if you want to success your business, you must visit Ebisu-jinjya Shrine during January 8th~12th. Many people who hope to do good business in the new year come and pray. You can get a sacred bamboo grass here. 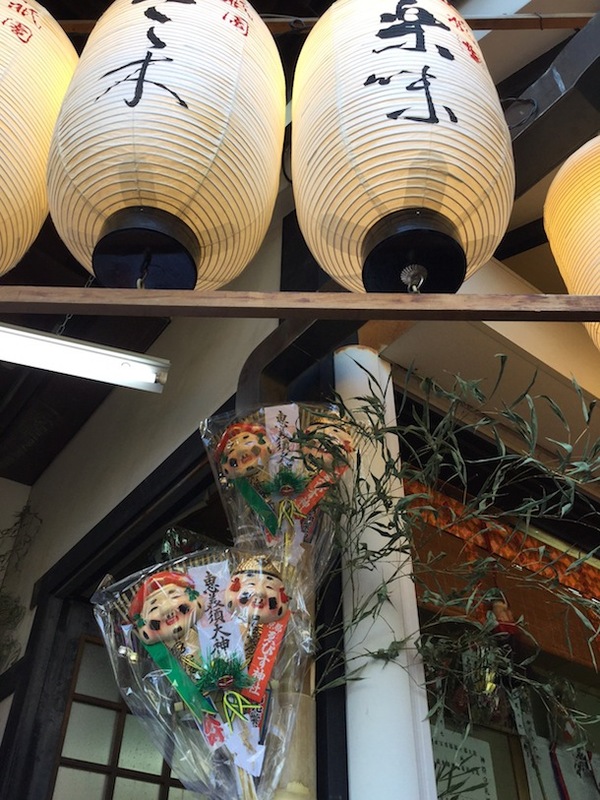 You may see it with some decorations with images of Japanese Gods at the entrance of the restaurants in Kyoto. 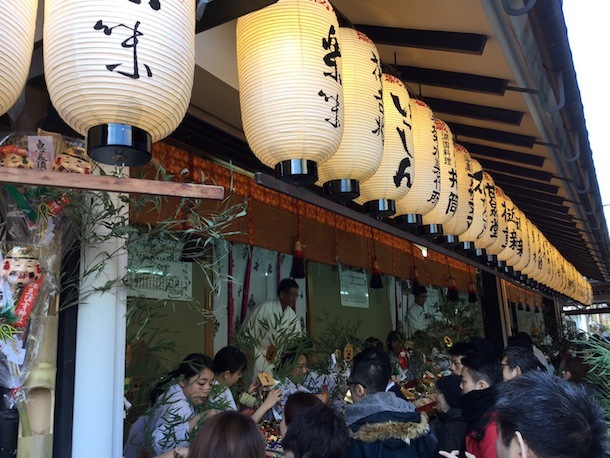 Or, if you want to enjoy a temple tour that said to give you a good luck, Seven God Visiting tour on January 8th is recommended. Seven temples are located on the Sennyu-ji Temple Ground near Kyoto Station. You can get a unique talisman with an image of one of the Gods at each temple. (¥300~¥500 each) Also you can warm up with sweet sake or sweet bean porridge being served. Furthermore, if you want to enjoy a mountain walk before Seven God Tour, you can start at Fushimi Inari Taisha Shrine that is famous for a thousand of red Shinto gates. From the top of the mountain, there is an easy trail heading to Sennyu-ji Temple.